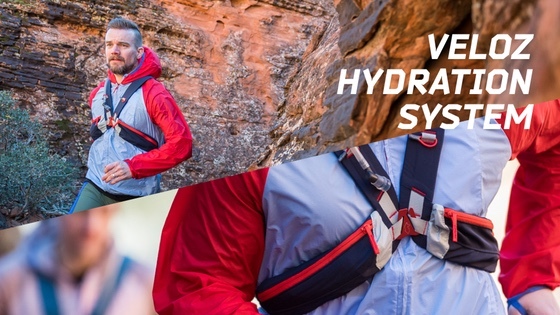 FAQ: The Veloz Hydration Pack: Fast. Forward. Can I purchase additional flasks? Yes, additional flasks will be available for purchase on BackerKit. We will share an update when they are available for purchase through the BackerKit platform. Where does the name Cotopaxi come from? Cotopaxi is named after a volcano near Quito, Ecuador. Cotopaxi products are guaranteed to last 61 years, the average lifespan of a person living in the developing world. If there’s a problem with your product, we’ll gladly exchange it, get you a replacement, or repair the item in-house. If you are unhappy with your purchase please reach out to us at llamas@cotopaxi.com and see our return and exchange policy below. We accept returns on orders shipped within the US within 90 days of purchase, no questions asked. Please ensure that items are unworn, unwashed, and undamaged. Returns are always free and refunds are issued in the original form of payment for all purchases. Please note that all international sales are final, i.e., we cannot accept returns. Please do not hesitate to contact us at llamas@cotopaxi.com if anything seems amiss.